For more information about specialty papers, such as silk paper, banana paper and even paper made from elephant poop check out this article - Eco and Specialty Paper. Mulberry paper is a form of handmade paper. Mulberry paper is made from the mulberry tree and it has long fibers which helps to give the paper its distinctive finish. These fibers also give mulberry paper a fine wispy edge when it is torn and this makes a very attractive finish. Mulberry paper is typically textured and is available in a variety of weights. Because mulberry paper is handmade, no two pieces are ever quite the same. Mulberry paper can be purchased in a wide variety of sizes and weights and is readily available from craft stores, stationery supplies and art stores. In addition to selling sheets, some suppliers also sell die cut shapes which have been cut from sheets of mulberry paper. The weights vary from thin tissue paper through to extra thick sheets of paper. Mulberry paper is also available in a wide variety of colors. Many mulberry papers are made with other inclusions such as petals, leaves or bark. This adds to decorative finish as well as providing texture. Mulberry paper is ideal for rubber stamping projects. While the surface of the paper is textured and therefore makes it difficult to stamp directly onto, mulberry paper makes a wonderful background for layered projects. 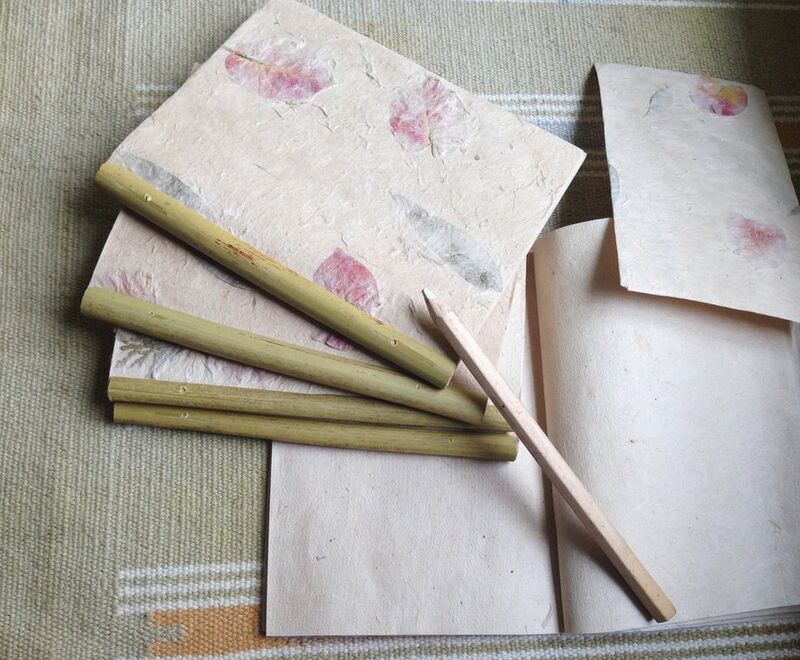 Mulberry paper can be used in many rubber stamping projects. It is great for handmade cards and also makes an interesting addition to a scrapbook project. Not all mulberry paper is acid free, therefore if you require the paper for a special or archival project, it is best to check with the supplier before purchasing paper. As mulberry paper is handmade, the sheets often have deckle edges. These are the rough edges that are formed during the paper making process. 'Deckle edged' paper can make an interesting addition to a project. Mulberry paper can be cut with a pair of sharp scissors, however a very attractive finish can be achieved by tearing the paper. Mulberry paper tears easily, leaving a decorative wispy edge. More complex or intricate shapes can be achieved by wetting the paper where it is to be torn. The edges of the paper can be dabbed with ink to emphasize the torn finish. Mulberry paper is ideal for adding to your rubber stamping and scrapbooking projects. It provides a rich texture which can be incorporated into your designs in a variety of ways. Use scraps of mulberry paper to add embellishments to your projects. Just cut a shape such as a heart or flower to add to your projects as a quick way to add a feature.